KOMOS. 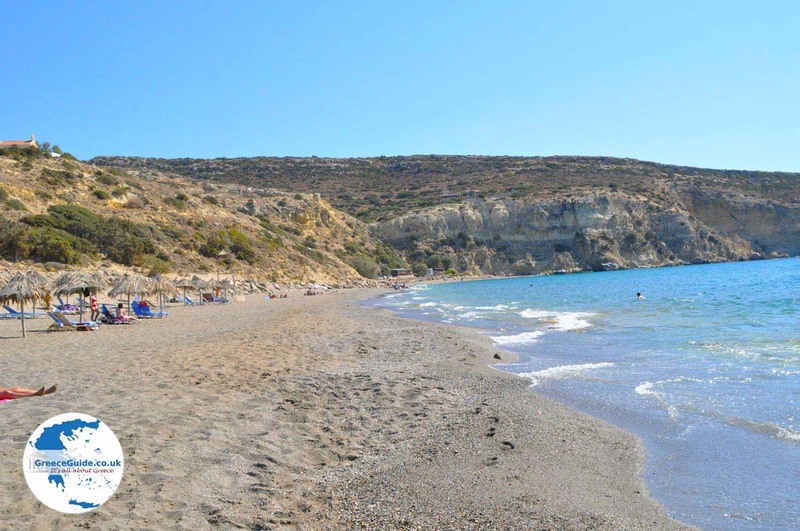 Komos is a beach located in south-central Crete, a few kilometres from Matala and Pitsidia village. Komos is a beautiful sandy beach with a restaurant. The restaurant is located on top of the steep cliffs of the mountain that stand high above the beach. 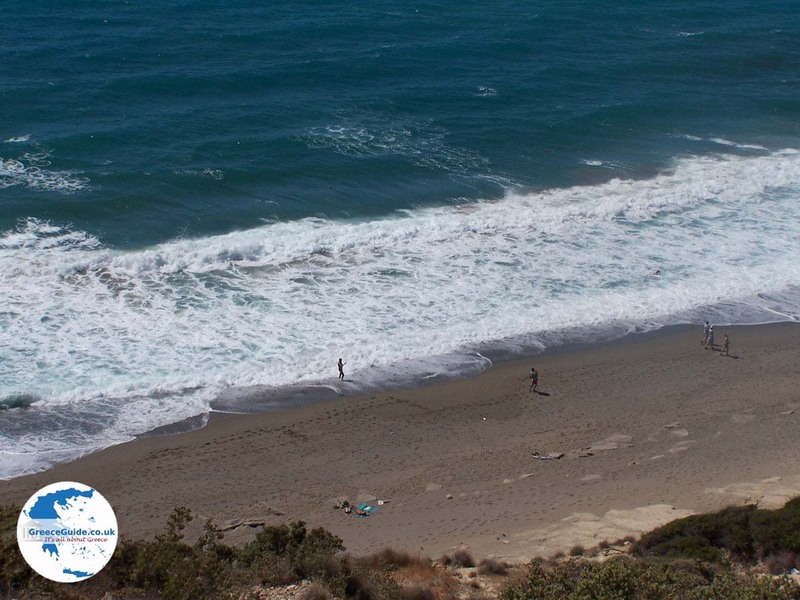 At the restaurant there is ample parking, you have a beautiful view towards the beach of Komos and the Bay of Messara. In the summer season deckchairs are for hire. For people who love peace this is an ideal destination. 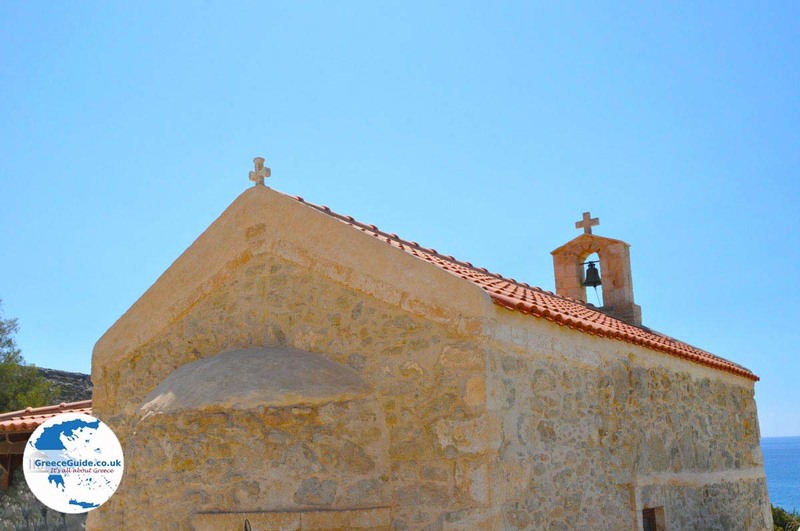 There are no Hotels here, but in the villages Pitsidia (2 km), Kalamaki (2 km) Kamilari and Matala (4 km) are plenty of hotels and apartments. 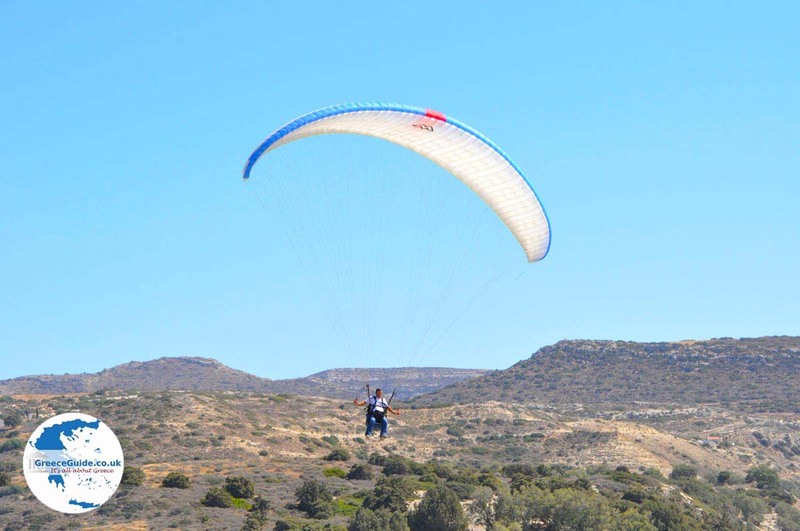 At the top of the hill there is a nice, clean campsite with good facilities and a swimming pool. Komos is also suitable for a day trip. 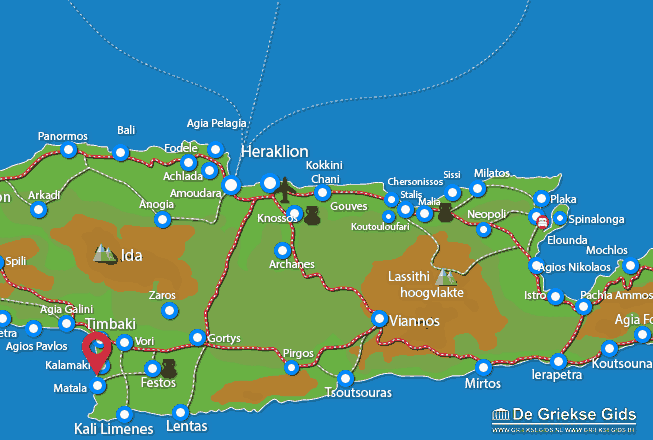 Heraklion Prefecture: Where on the map is Komos located?